Photos by: Signature Flooring, Inc. 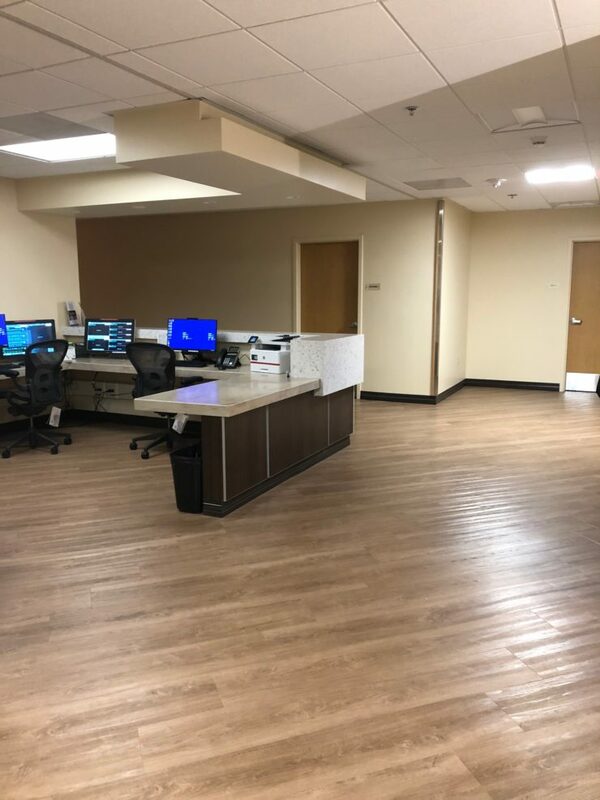 Servicing a long-time healthcare client, Signature Flooring was tasked with renovating the Orange County, CA hospital’s cardiac department and accompanying corridors with an updated look that would perform in a demanding environment as well as meet sharp aesthetic needs. 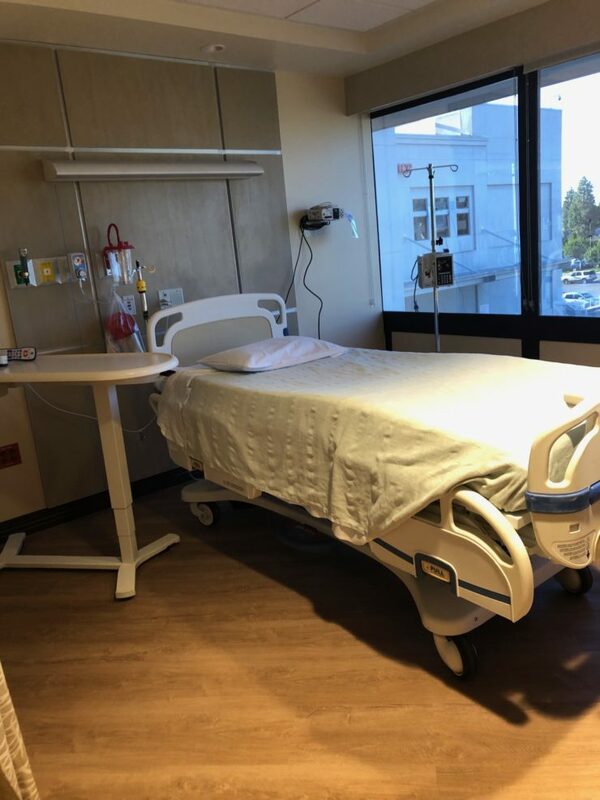 Not only would the typical challenges of any large-scale resilient flooring replacement be at hand, but Signature’s team would also need to handle the installation during evening hours and over a phased duration to meet the hospital’s ever-changing schedule. 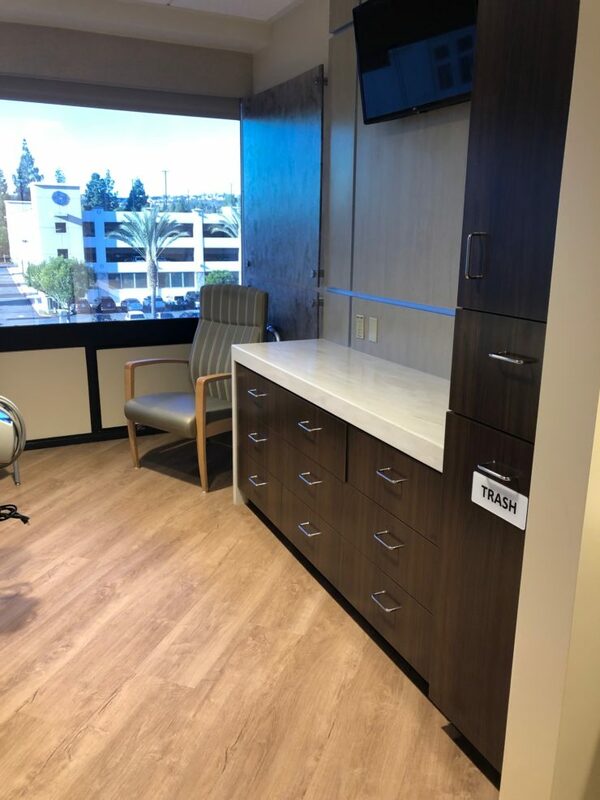 Without an architect associated with the project, Signature operated as the material specifier, meeting with operations and facility department team members to show materials that would best suit the department’s needs. 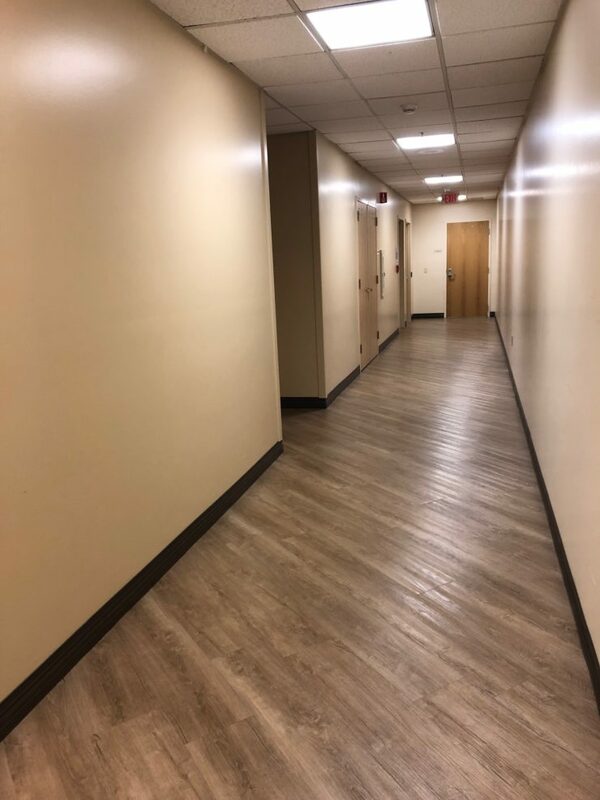 For the luxury vinyl tile, Signature utilized Mohawk’s popular Hot & Heavy Secoya 5mm LVT to withstand the constant daily traffic seen in the cardiac areas and corridors. 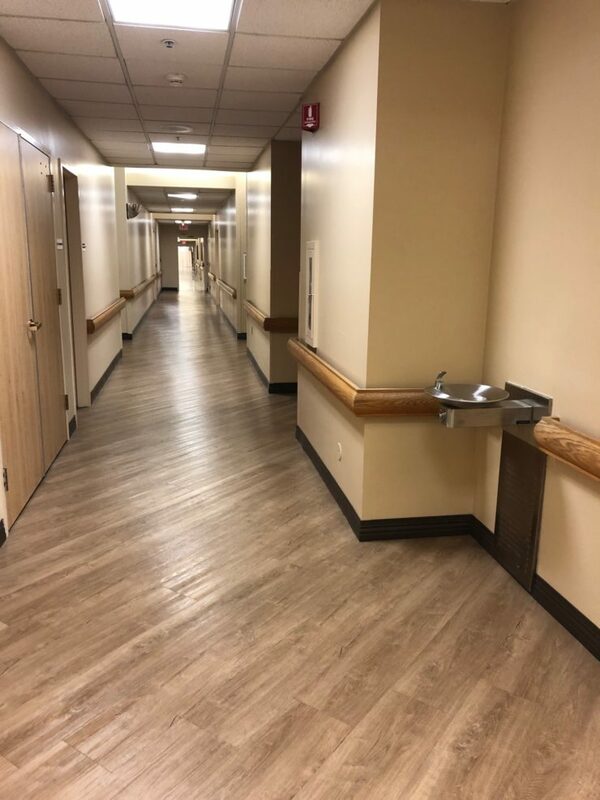 While a thicker gauge LVT product helps in regards to some floor preparation, in resilient hospital atmospheres, floor flatness and levelness prove to be critical. Signature looked to floor prep partner Ardex Americas’ premium K15 self level underlayment to ensure the substrate would meet PSI and level standards. 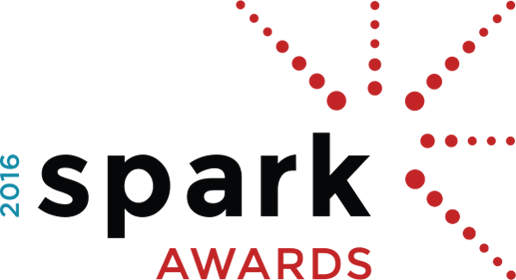 Once applying, Signature conformed with strict OSHA standards regarding dust control and airborne particle measures, paramount when discussing any occupied healthcare renovation. Finishing the design, Johnsonite’s stylized “Diplomat” Millwork base along with slim-line reducers were installed for its cohesive and upgraded finish. Packaged all together, the end result of the installation was one which the hospital staff, facilities team, manufacturer reps as well as patients could all commend and appreciate.